GoBear, the metasearch comparison site has appointed two key members to lead the Malaysia business. Iskandar Ezzahuddin will now take on the role of country director Malaysia. In this role, Iskandar will lead GoBear’s business efforts in Malaysia, overseeing the company’s strategic direction while continuing to drive business and user growth. Iskandar has a career spanning 16 years with experience in MNCs includes FMCG, banking, aviation, and technology. After spending formative years in consumer marketing and digital performance marketing in multinational companies like Procter&Gamble and Nestle, Iskandar transitioned to the financial industry with Product Management roles with UOB Bank & Citibank where he was instrumental in the launch of the Shell Citi Card. Iskandar moved on to helm another startup known as U for Life, the most successful insurance company in Malaysia. 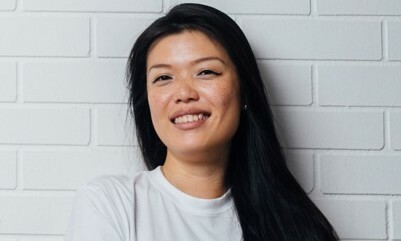 As part of solidifying a team in Malaysia, GoBear also appointed Amelia Lim as its head of marketing. She will be directly involved in the brand awareness and developing user relationships. Her 18 years of multi-industry experience in PR and marketing will be vital in creating successful local launches and innovative marketing solutions in the content and brand activation space. Amelia Lim (pictured) brings 18 years of multi-industry experience and a strong track record in consumer entertainment and lifestyle marketing in Singapore and Malaysia. Her strengths include developing creative public relations solutions, strategic branding and event planning. She has worked with clients across multiple industries, including energy, F&B, financial services, FMCG, healthcare and lifestyle. Lim has also gained experience in various in-house corporate and marketing communications roles in Singapore at companies involved in renewable energy and F&B. After 23 years in Singapore, she returned to Malaysia in 2011 and joined a local PR firm where her experience helped to launch and build profiles for Malaysian and MNC brands, among them Hansgrohe, LQP Asia (protective nanotechnology for mobiles), MAXMAN.TV (Malaysia’s first IPTV channel) and Toshiba’s first cinematic laptop. Both Iskandar and Lim were pivotal in implementing the launch of GoBear Malaysia earlier in May. Since then, the easy-to- understand and unbiased side-by- side comparison site has garnered an impressive 22% conversion rate from sessions on their site. Di Giammarco will be responsible for the Bacardi rum brand marketing efforts globally. More here. ..